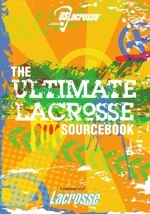 Coach Fox began playing lacrosse in 1991 while attending UC Irvine. He was team captain, twice league all-star, and MVP of the 1994 WCLL College Championship Game. In 17 seasons of coaching youth and high school, Jon has led teams to multiple Middle School & youth Championship titles, multiple High School Titles (‘00, - ‘04 Club; ‘06-’11, '14 CIF) and 2 High School State Club Championship titles (‘03- ’04). He was head coach of the OCLA U-15 select team in ‘05 and head coach of the OC Jr. World team (‘98-’01). Jon was OC High School Coach of the Year in 2007 by OC US Lacrosse and again in 2008 & 2014 by the OC Register. Jon is a charter member of the Positive Coaching Alliance, board member of US Lacrosse, and currently pursuing a master’s degree in coaching and athletic administration. 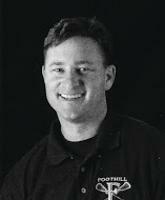 Jon has been coaching lacrosse in Tustin since 1997 when 11 lacrosse players first walked on the Hewes field. In addition to coaching the Foothill and Hewes lacrosse teams, Jon has helped lay the foundations for girl’s and boy’s lacrosse teams at Pioneer Middle School, Tustin High School, Beckman High School as well as other schools within Orange County.